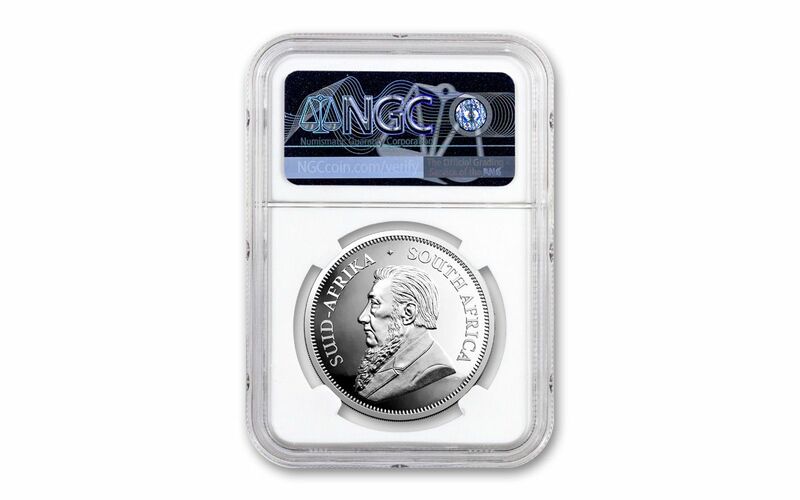 In fact, your coin has been graded by the Numismatic Guaranty Corporation (NGC) being in near-perfect Proof-69 Ultra Cameo (P69FUC) condition, a distinction that means your almost-flawless coin will showcase an impressive full strike and indistinguishable imperfections – well above and beyond the quality of the vast majority of coins in the series. It will also come sonically sealed in an acrylic holder with a white display core and an exclusive Springbok label. 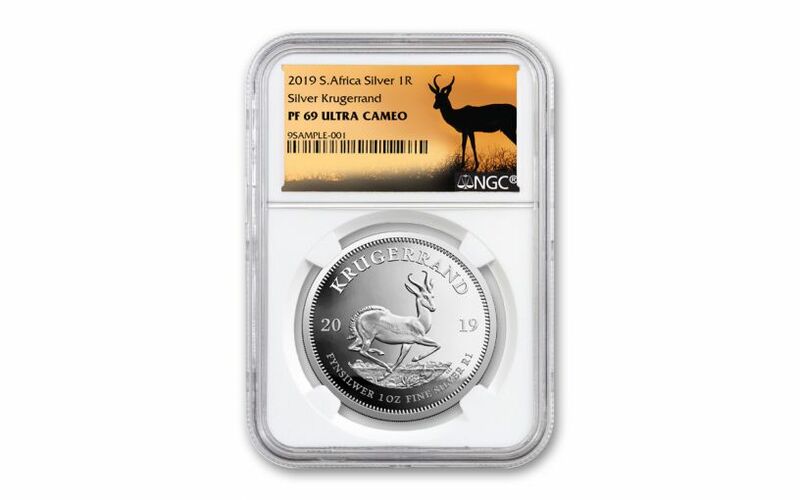 GRADED IN NEAR-PERFECT PROOF CONDITION – Your 2019 South Africa One-Ounce Silver Krugerrand has been graded by the Numismatic Guaranty Corporation (NGC) as being in near-perfect Proof-69 Ultra Cameo (P69FUC) condition. It will come sonically sealed in an acrylic holder with a white display core and an exclusive Springbok label.